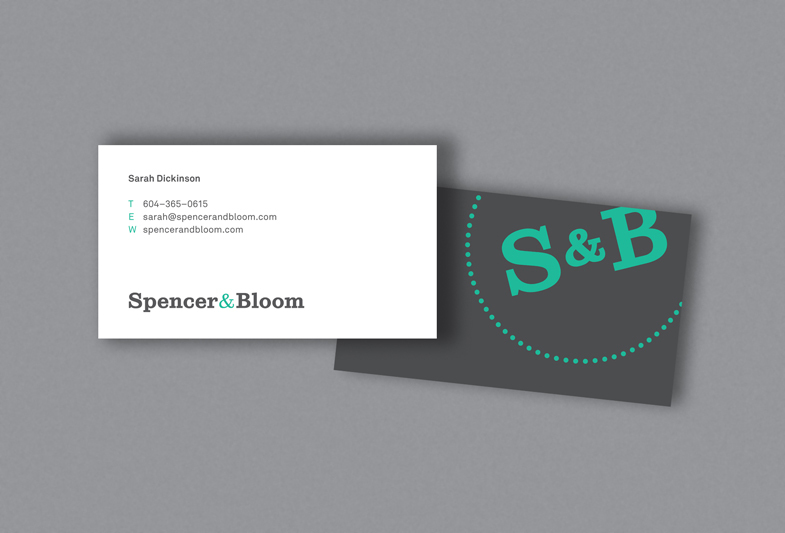 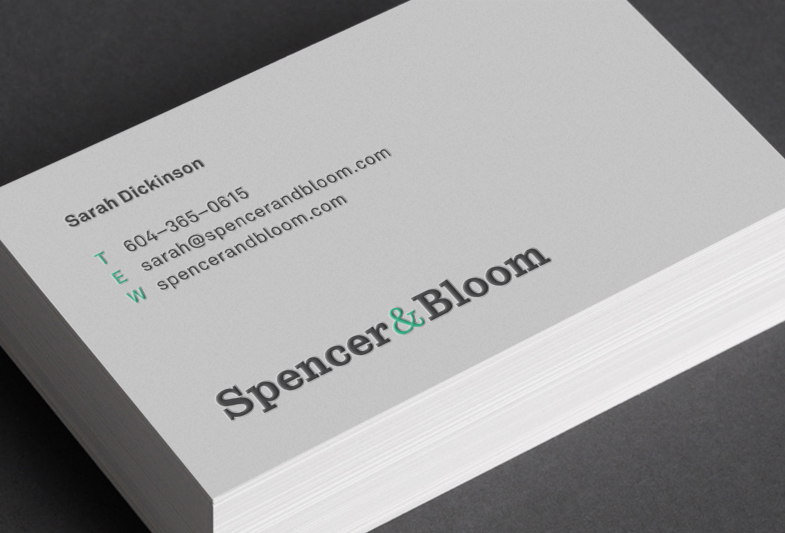 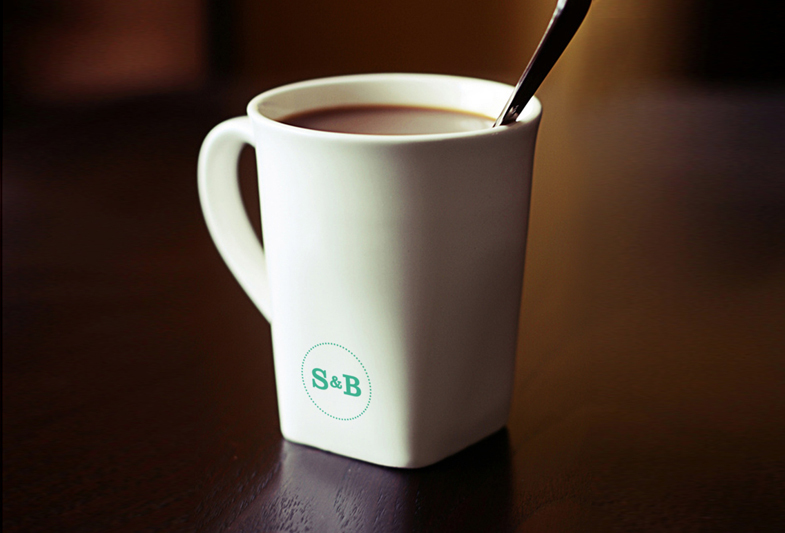 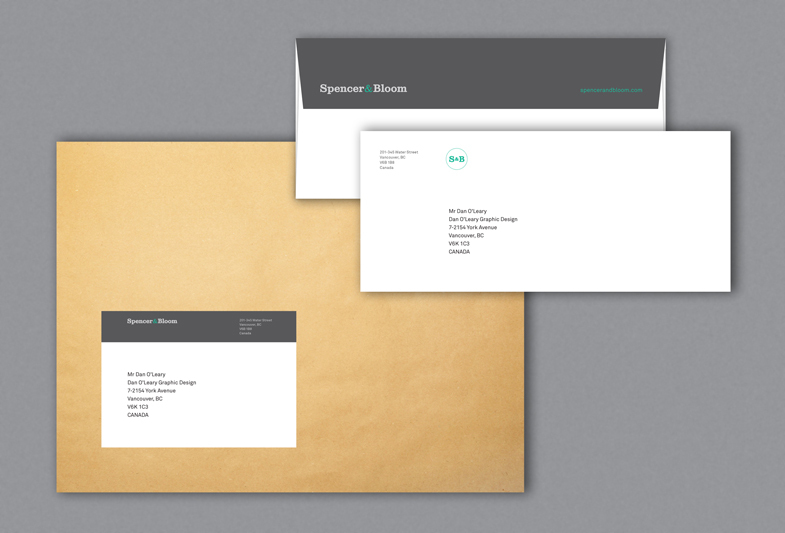 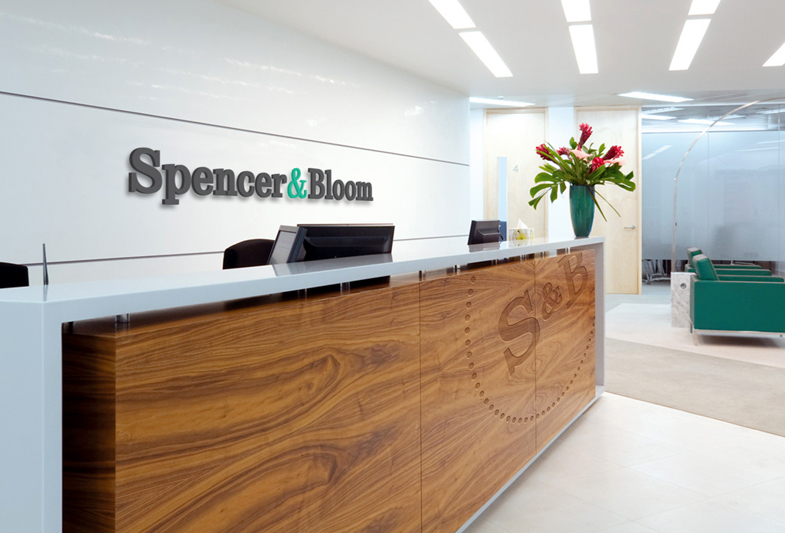 Identity for Spencer & Bloom, a brand strategy consultancy based in Vancouver, BC. 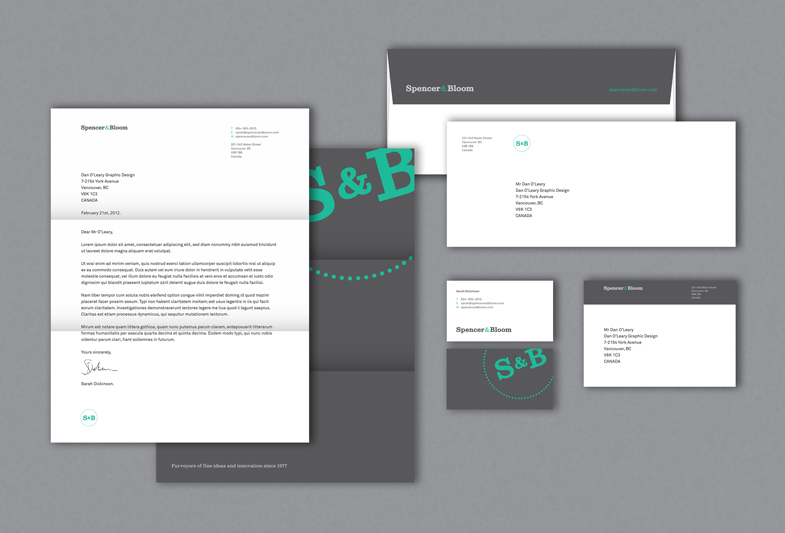 The visual language intentionally plays up to the company name, playfully implying a long-established heritage. 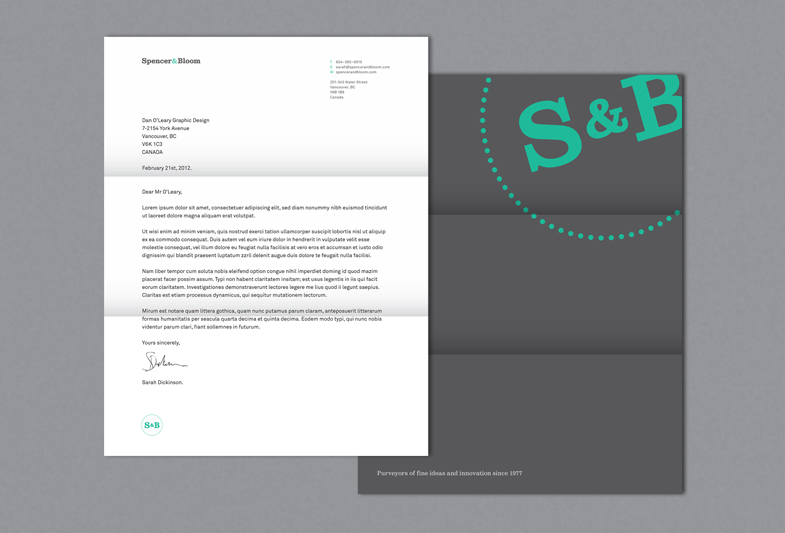 The sober grey is balanced with a vibrant accent colour to add to the playfulness, while the typography is a contemporary interpretation of traditional style.